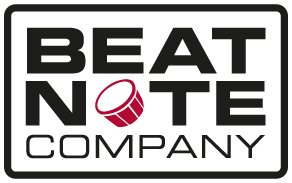 Beatnote Company is a Swedish company which produces and manufactures drum methods and percussion arrangements for drummers of all levels. News for this year are the drum methods for iPad with myDrumbook and the Drummer. The business was established as Öronvägen Musikproduktion in 1994 and in 2006 changed its name to Beatnote Company. Mats Werner, the author, is a percussion teacher with many years experience teaching children and young adults.